What is a commission tracking solution? A commission tracking solution is a tool that lets you calculate, manage and monitor your sales team’s commissions accurately and minimize the errors linked to manual and spreadsheet methods. Each business owner believes that handling diverse commissions is highly challenging. Companies tussle to keep home-grown techniques that lack the crucial versatility to come up with, create and manage a modern commission tracking strategy. Correctly predicting, administering and monitoring commissions is essential to your corporate operation strategy and development, and that is why you need a compensation tracking software. According to business owners who have used a commission tracking solution, it is useful to communicate estimated commissions in a detailed and clear way, and allows you to issue the measured commission as soon as the compensation cycle is over. To be precise, this tool saves a lot of time and resources. Most of us know that setting a reliable commission tracking structure that will benefit both the employee and employers can establish an overwhelming task for many companies, but with the introduction of commission monitoring software in the modern-day setup, you determine a very good relationship between payees, clients, products, plans, bonuses, payment frequency and quotas. And without having any doubt, this has made it easier for numerous companies (big and small) to strategically inspire good performance, essential for a company’s rapid improvement. 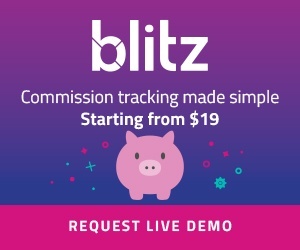 And speaking of some of the world’s leading compensation tracking software, Blitz will never go unmentioned. It essentially provides a friendly and effortless to apply a system with the ideal compensation software that not only addresses the challenges of coming up with and maintaining complicated compensation programs, but also allows to strategically deploy sales commission programs in-line with the needs for your company. With Blitz you can pay commissions on time, reduce errors in sales commission calculation, increase productivity, save a lot of resources for future use, ensure equality between your employees, increase trust an morale in your work force, track all commissions and sales accurately, among other benefits.